What a magical evening we had performing at The Bush Theatre! 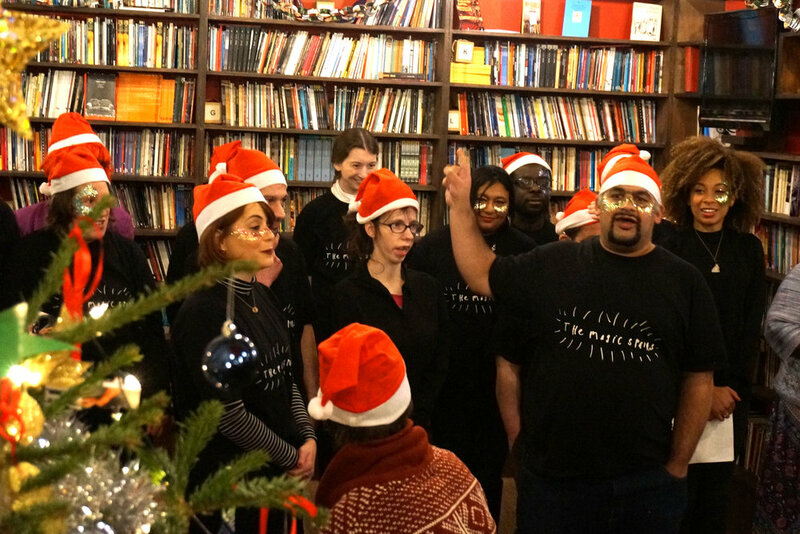 For this one off festive extravaganza The Magic Sparks Choir performed alongside Brixton’s premier acappella women’s choir, The Electric Belles, as well as a special guest appearance from Eleanor Fanyinka and accompanied on piano by musician and novelist extraordinaire, Chris Russell. The Magic Sparks ROCKED the house! A special thank you to Jingo Events who added some extra sparkle to the evening and The Bush Theatre team who made it all possible! The Magic Sparks are a choir from West London promoting the power and talents of people with learning disabilities, a project by This New Ground in partnership with Bishop Creighton House.